I don't consider myself a big story teller, but you might enjoy knowing what it takes to make some of my sweets. Tonight is Joy again, planning to try yet another icing recipe, and having made a promise to Sebastian and Gillian to send some their way. 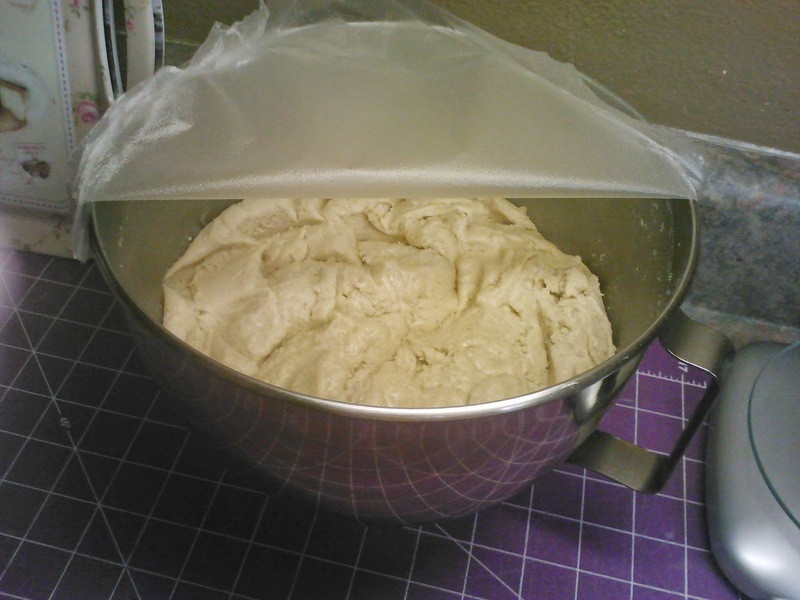 But the dough has to "sleep" one night in the fridge. So I just made the cookie dough (honey and butter, sugar, eggs and flour, cinnamon and cloves) and took a picture, covered the bowl and put it to rest.